The district aims to expand its dual enrollment and AP classes. 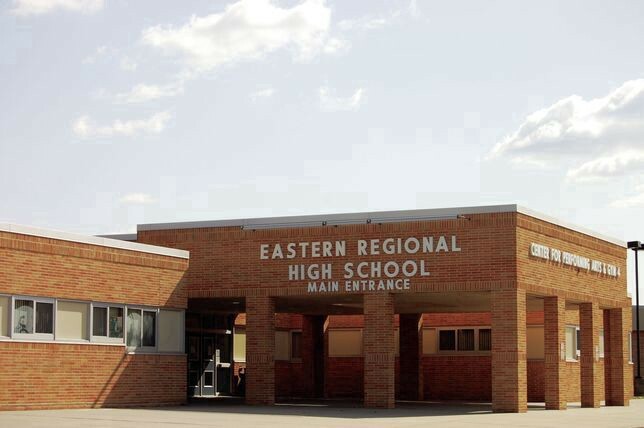 Eastern Regional High School will implement new courses for the 2018–2019 school year. Continuing college preparation initiatives, the district is adding new dual and advanced placement classes to its curriculum. “It’s a very meaningful subject on its own, but it also creates that relationship (with the university) and financially benefits students moving forward,” said Robert Cloutier, director of curriculum, instruction and professional development. Roughly 50 students from Voorhees attend Stockton, according to Cloutier. “We see it as a direct impact on the students here who may choose to go to Stockton University, but of course, it can be dual enrollment and college-credit accepted for other places,” he said. Aligning with college priming, Eastern Regional will expand its advanced placement offerings. The school was recently approved to offer the AP Capstone program, which allows students to graduate with an advanced placement diploma from the College Board if they take a certain number of AP courses and receive passing grades on the standardized tests. Starting in the 2018–2019 school year, juniors can take AP Seminar. The following year, as seniors, they can take AP Research. Coupled with any four other AP courses, students will be eligible to receive the diploma. The district also aims to foster authentic and project-based learning. Starting in the 2018–2019 school year, a new class will be offered focusing on computer-aided design, or CAD, transforming the school’s architecture design and engineering courses into a four-year program. For seniors specifically, applied statistics will be added, which teaches students how to use statistics in real-world situations. Eastern is not solely striving to strengthen students’ academics but their well-being, too. Juniors and seniors can take an elective, lifestyle fitness, which stresses lifelong physical activity, focusing on nutrition and exercises such as yoga, spinning and kickboxing. This will serve as an alternative to their traditional PE classes. As the new culinary classroom, which opened in September, continues to run at full capacity, the school plans to add a cooking course for students in the special education program. Along with new classes, easing into the new year, the district’s overall goal is to be considered a Future Ready School. This is a statewide certification program “designed to promote digital learning readiness in schools throughout New Jersey by providing guidance, support, direction and resources to schools and districts,” according to the program’s website. In November, New Jersey named 63 schools across the state, including Eastern, as the inductees to be recognized as Future Ready. Applications are due in June. “We feel with all the investment that has been placed in technology and a lot of the advancements and ideas from our teachers, we put that together and look to be certified as a Future Ready School,” Cloutier said.